The Paterson Super System 4 Multi-Reel 5 Tank is constructed from high-impact polystyrene that stands up to high volume use. This tank has no hidden parts, and is always easy to keep clean. 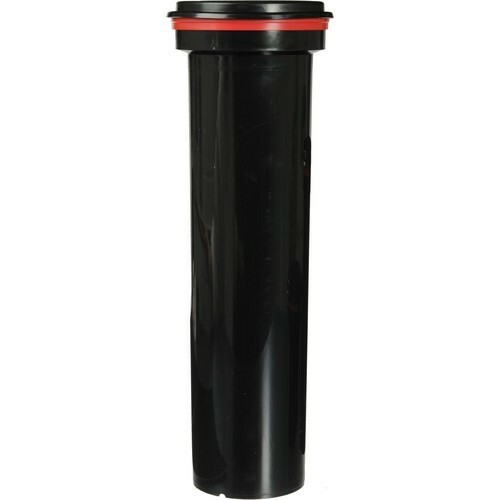 The Super System 4 Tanks are durable, easy to use, and provide consistent, even film development. They feature a unique snap-in light trapping funnel for quick filling and emptying, to ensure even development and precise processing times. Super System 4 Tanks offer a choice of agitation methods; use inversion agitation, rotary agitation with the removable agitator rod supplied, or a combination of both. Holds up to eight 35mm or 126 rolls, six 127 rolls, or five 120/220 rolls. Note: these tanks are supplied without reels so that a system best suited to the users needs can be built up. The thoughtful design of Super System 4 includes a funnel which locks in place to keep reels secure. And as an extra safety feature, the cap cannot be locked if the funnel is improperly seated. Chemicals pour without splash, and solution quantities are permanently indicated on the bottom of every tank. The Super System 4 is simpler to load, faster to fill and easier to clean than any other tank. A large diameter one piece lid and funnel which clips into place positively and securely, enabling the tank to be filled and emptied quickly. Box Dimensions (LxWxH) 17.4 x 5.9 x 5.6"